We’ve invested in having machinery made from scratch using the best parts, pumps, vacuums, filtration systems on the market and packing it on the back of a 3-ton truck. You can be ensured there’s nothing like it anywhere else in Australia. Commercial paving is what we designed our encapsulation system to excel in. Our three-ton truck provides boiling hot water, water recovery and water recycle. No one else does that in Australia the way we do. 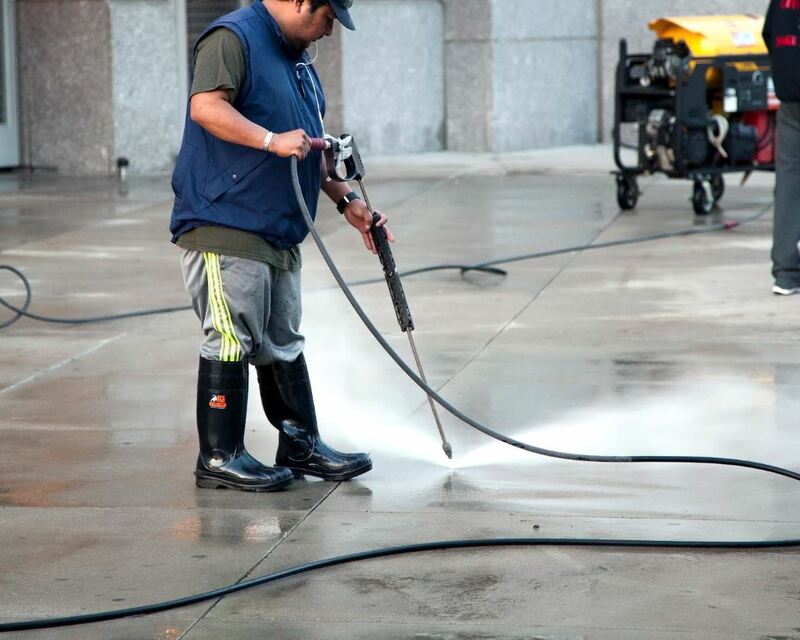 We offer competitive pricing and scheduled services to commercial centers to ensure the highest standard of cleanliness excelling in centers with restaurants that traffic high levels of oily residue around the complex. Carparks are another aspect that our system excels in – flat surfaces that typical high-pressure cleaning systems struggle with. Our encapsulation system reduces water run off by 95% meaning the floor is practically dry after cleaning. We are utilized by Carpark companies and building asset managers to undertake carpark cleans when quality is the main objective. Pressure VAC is committed to finding a solution for you.